The brand name “unbreakable Linux” has been replaced with “Oracle Linux” more than three years ago. The distribution (including security updates/errata) is free to download, use and re-distribute (both as ISO images and public yum repos). Thank you Lenz. Btw, do you have a blog? Great Lenz. I’ll take a look. They wont kill MySQL, but they will not let it develop to its full potential either –> i.e. an Oracle replacement. 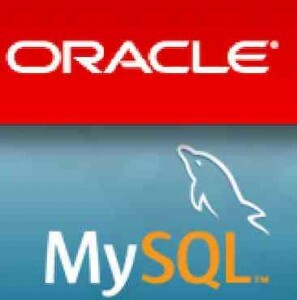 If they did, will the customers choose to pay money for Oracle or use the cheaper MySQL? Customers who choose Oracle have big budgets. One thing I *DID* forget to mention in the article. Cost of licenses is only one piece in total cost of ownership. Deployment services aka consulting cost just as much for MySQL as they do for Oracle. Then, regarding MySQL.. – there was not made so big improvement in MySQL Performance and overall new features as it was made since last 3 years!.. MySQL 5.6 was the best MySQL release ever, and MySQL 5.7 is already promising to be the best! Thx for the comments Dimitry. Yep, MySQL 5.6 is definitely a big improvement, I agree. Will stay tuned. Oracle bought Sun mostly for Java (see James Goesling), and maybe some inroads via server hardware into enterprise clients, since most big name ORacle DB installs run atop of Sun.. . But Sun hardware is being dumped, everyone is replacing it it using commodity Linux clusters/blades/vm’s from Dell, DP etc. proprietary Sun hardware is quickly fading into obsolescence . As far as MySQL , Oracle may not kill it but it has no business interest to develop it further, because it can be used freely, and the liceseing dollars are peanutes compared to Oracle, they’ll just “maintain” it until a later time when they’ll likely spin it off.